In my blogs Goebbels on liquidation and Thomas Dalton responds to Roberto Muehlenkamp and Andrew Mathis (3), I demonstrated that the term "liquidated" in Goebbels’ diary entry of 27 March 1942 can have referred to nothing other than physical killing of the greater part the Jews from the General Government, who Goebbels thought would have to be liquidated whereas only a smaller part could be used for forced labor. I also pointed out that Goebbels, this everything-other-than-squeamish man, who could write unabashedly about killing and death in his diary, didn't want to go into further detail, in his diary entry of 27 March 1942, as concerns the "barbaric procedure" whereby the majority of the General Government's Jews were being or would be "liquidated". 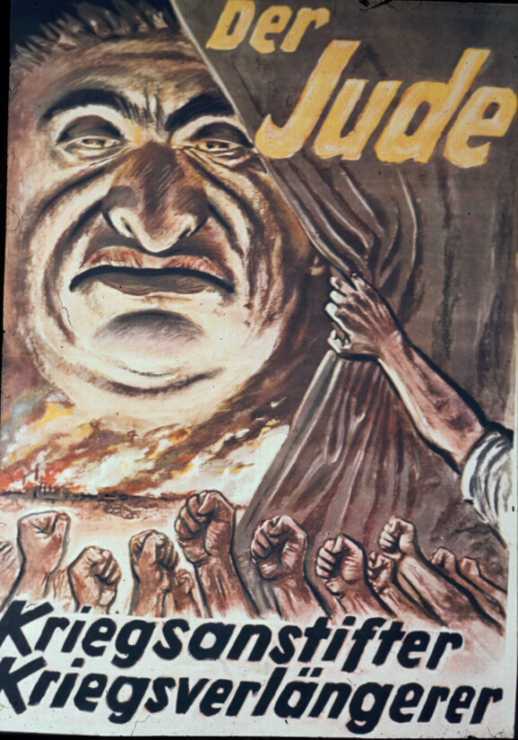 What was happening to these Jews was something so horrendous (Goebbels accordingly spoke of a judgment that was being visited upon the Jews, and of the Führer's "prophecy" becoming true "in the most terrible manner") that Goebbels considered it something "not to be described in any more detail". It made even his stomach turn. After these blogs I was of course curious how Mr. "Dalton" would try to explain away Goebbels' diary entry of 27 March 1942 in Part 2 of his Goebbels on the Jews article. Dramatic wording, to be sure. But we now understand the likely meanings of ‘liquidation’ and ‘radical solution’ (see Part 1).And we have yet more evidence that vernichten is not mass murder—would the Jews really kill every German simply by remaining unopposed, and living amongst them? Of course not. But they could destroy the character and integrity of traditional German society. The third paragraph is rarely cited by traditionalists; it too clearly indicates a systematic deportation process, including potentially long-term confinement. This is inconsistent with a high-speed, industrialized scheme of gassing and mass murder. The word 'liquidation' means, primarily, 'to make fluid.' And this in fact is a fairly apt description of the deportation process: a large, entrenched Jewish community who had to be uprooted, made liquid, and then to flow out across the borders. Nothing in this entails killing. Never mind that "liquidation" rarely if ever, and certainly not "primarily", means "to make fluid", as a look at the Cambridge dictionary reveals. Never mind that "Dalton" cannot provide a single example in which the term "liquidate" is used in a non-homicidal sense when referring to something that is, has been or will be done to a group of human beings, whereas I pointed out a clear reference with homicidal meaning from the 1943 German Katyn documentary, which refers to Polish officers "liquidated by Stalin’s henchmen". When Mr. "Dalton" is unable to tackle arguments that shatter his reading of a term or expression, he simply ignores them and just repeats his refuted nonsense. Pathetic. If we did not fight the Jews, they would destroy us (vernichten). And we have yet more evidence that vernichten is not mass murder—would the Jews really kill every German simply by remaining unopposed, and living amongst them? Of course not. But they could destroy the character and integrity of traditional German society. In other words, as the Jews wouldn’t "kill every German simply by remaining unopposed", the term "destroy" (vernichten) in Goebbels’ sentence didn't mean extermination, and accordingly the term didn’t mean extermination when referring to what the Nazis intended to do with the Jews. The caption: "The Jew: The inciter of war, the prolonger of war." This poaster was released in late 1943 or early 1944. Courtesy of Dr. Robert D. Brooks. It’s a life-and-death struggle between the Aryan race and the Jewish bacillus. Pursuant to the notion that Jews were responsible for a war they had unleashed to wipe out the "Aryan" peoples, the expression "life-and-death-struggle" was meant quite literally. It is therefore ludicrous to argue, as "Dalton" does, that at this stage the Nazis were merely concerned about Jewry destroying "the character and integrity of traditional German society". And of course this argument wouldn't help "Dalton" to overcome the obviously homicidal meaning of the term "liquidate" in the first paragraph, or Goebbels' reference to a "barbaric procedure" so horrendous that it was "not to be described here more definitely". A judgment is being visited upon the Jews that, while barbaric, is fully deserved by them. The prophesy which the Führer made about them for having brought on a new World War is beginning to come true in a most terrible manner. Sounds like the end of the world has come for those Jews, doesn't it? I would like Mr. "Dalton" to explain this passage. 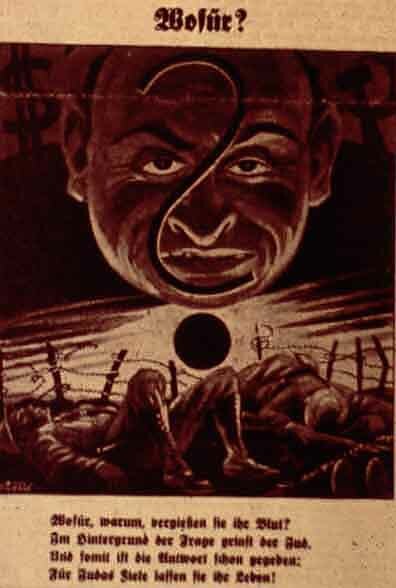 Are we asked to believe that the everything-other-than-squeamish Goebbels would refer to mere deportation as a barbaric "judgment" being "visited upon the Jews" in return for they having "brought on a new World War", as a prophecy that was beginning to come true "in the most terrible manner"? The second paragraph of Goebbels’ diary entry of 27 March 1942 also contains a hint to the specific operation against the Jews of the General Government that Goebbels was referring to here – an operation that had started shortly before this diary entry was written, making the "beginning to come true" appropriate for that time. 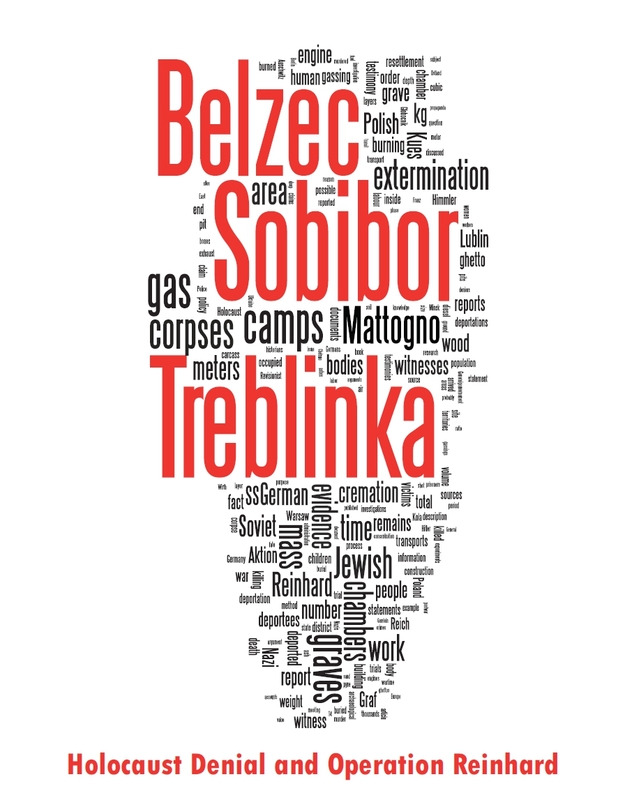 I referred to this context in my blog Belzec Mass Graves and Archaeology: My Response to Carlo Mattogno (5,2): the "former Gauleiter of Vienna", was none other than Odilo Globocnik, the head of Aktion Reinhard(t), which had started on 16.03.1942 with deportations from the Lublin Ghetto. Needless to say, Mr. "Dalton" cares as little about the evidentiary and historical context of this diary entry as he cares about anything else that speaks against his preconceived notions. "Dalton"'s last and equally feeble shot against this inconvenient incriminating evidence concerns the third paragraph of the diary entry in question, which he claims is "rarely cited by traditionalists" and "too clearly indicates a systematic deportation process, including potentially long-term confinement". First, the "rarely cited by traditionalists" claim. The "traditionalists" nonsense aside (ideologically motivated fanatic obviously like to think in categories of "ists" and "isms", which is why "Dalton" and his ilk unduly call themselves "Revisionists", while making up labels like "exterminationists" or "traditionalists" for their critics), I wonder what "traditionalist" sources "Dalton" consulted to reach this conclusion. For out of three "traditionalist" sources that immediately come to my mind as referring to or quoting Goebbels' diary entry of 27 March 1942 (the Nizkor page Joseph Goebbels' Diaries:Excerpts, 1942-43, Richard J. Evans expert opinion David Irving, Hitler and Holocaust Denial, and Christopher Browning’s expert opinion Evidence for the Implementation of the Final Solution), the former two quote the whole or almost the whole of the diary entry. For whom is there supposed to be a "potentially long-term confinement" here, according to the entry? Certainly not for the Jews from the General Government, whose ghettos are being emptied, who are being subject to a "pretty barbaric" process as a result of which "not much will remain" of them, on whom a "judgment" is being visited and for whom the Führer’s prophecy is "beginning to come true in a most terrible manner". And for the Jews to be deported from the Reich and placed in the ghettos emptied of the local Jews, these ghettos are just a temporary stopover, as the "barbaric" process currently being applied to the Jews from the General Government will be "repeated from time to time", i.e. new Jews from the Reich will be sent into the ghettos in the place of those who have already been moved onward to their final destination. At that final destination the deportees, or what was eventually left of them, were indeed meant to be subject to long-term "confinement" – in places like the Mass Graves at Nazi Extermination Camps. [Interviewer:] I was interested by a statement from a Nazi official stationed in Minsk about the deportation of the Reich Jews, those from German cities like Hamburg and Berlin. In contrast with the Jews of Eastern Europe, the official described the Reich Jews as "human beings who come from our cultural sphere" and was troubled by the idea of exterminating them. In general, do you think many Nazi officials found the killing of the Reich Jews harder to stomach? [Browning:] The Nazis assumed that, under the guise of this anti-Communist crusade in Russia, they could kill Soviet Jews without any real problems on the home front. But when it came to murdering German Jews, they had to be much more sensitive. I think they were worried that there might be a public-relations problem if word got out of their massacring German Jews. The letter from the Minsk official is evidence of this, and we see other cases, too. When the first trainloads of Jews were murdered in Kovno and Riga, rumors came back to Germany and some people were upset. Himmler was certainly aware that there would be a qualitative difference in the indifference or acceptance of murdering Russian Jews as opposed to German Jews. Thus, after the first six trains of German Jews were murdered in late November and early December, that program was suspended for a while. The Jews deported in the spring of 1942 were initially sent to ghettos in Poland—in a sense "put on ice" for a while—and then sent on to death camps later. In the same way, Jews, particularly elderly ones, were sent to Theresienstadt first and then sent on to Auschwitz. The expression "from time to time" in the translation of Goebbels' diary entry of 27 March 1942 used by "Dalton" ("nach einer gewissen Zeit", i.e. "after a certain time", in the original German text) seems to be related to the perceived need of threading more carefully as concerns German Jews and keeping them in the ghettos previously emptied of local Jews for a while before sending them to their deaths, as mentioned by Browning. At least this is an explanation consistent with the evidentiary context, whereas "Dalton"'s reading of this passage is based on nothing other than "Revisionist" wishful thinking. So much for "Dalton"'s feeble attempts to explain Goebbels’ diary entry of 27 March 1942 in conformance with his "Revisionist" dogmas. The musings of this "Revisionist" genius as considers another of Goebbels' diary entries are not just lame far-fetched interpretation but downright dishonesty, or then Mr. "Dalton"'s knowledge of the German language is so poor that he should refrain from taking issue with someone else's translation. The SD gave me a police report on conditions in the East. The danger of the Partisans continues to exist in unmitigated intensity in the occupied areas. The Partisans have, after all, caused us very great difficulties during the winter, and these difficulties have by no means ceased with the beginning of spring. Short shrift (kurzen Prozess) is made of the Jews in all eastern occupied areas. Tens of thousands must believe that the Führer’s prophecy will be fulfilled, that because they have incited a new World War, they must pay with the complete removal (Ausrottung) of their race. Here is the last sentence in the original: Zehntausend müssen daran glauben, und an ihnen erfüllt sich die Prophezeiung des Führers, dass das Judentum einen von ihm entfachten neuen Weltkrieg mit der Ausrottung seiner Rasse wird bezahlen müssen. Even those readers with no knowledge of German should be able to discern that the following Lochner translation is absolutely dishonest:"Tens of thousands of them are liquidated." This is inexplicable, and unpardonable. Unfortunately for Mr. "Dalton" there is at least one native speaker of the German language reading his "wisdom", who will immediately notice that "Dalton"’s translation of the expression "müssen dran glauben" is as wrong as can be. "Dran glauben müssen" (literally "having to believe in it") is, as every German knows, a slangy idiomatic expression that, when used to describe a person's fate, means that this person died, perished, usually in an unnatural or violent way. The Leo online dictionary offers the appropriate translation "to bite the dust". Thus, for instance, the title of the western film The Left Handed Gun, starring Paul Newman as Billy the Kid, was translated into German as Billy the Kid – Einer muß dran glauben ("Billy the Kid - One bites the dust"). An article in German available online is headed Warum Gretchen dran glauben muß: Gretchen, Kierkegaard und mögliche Kollateralschäden christlich-religiöser Erziehung am Weibe ("Why Gretchen bites the dust: Gretchen, Kierkegaard and possible collateral damages of Christian-religious education in woman"). The Gretchen referred to in this article is a personage of Goethe's Faust, a young woman who is convicted for murder and executed after killing an illegitimate child she had from Faust. The personage was based on the real history of Susanna Margaretha Brandt, a maid executed in Frankfurt am Main on 14 January 1772 for having killed her newborn child. Zehntausend[e] müssen daran glauben, und an ihnen erfüllt sich die Prophezeiung des Führers, dass das Judentum einen von ihm entfachten neuen Weltkrieg mit der Ausrottung seiner Rasse wird bezahlen müssen. Tens of thousands bite the dust, and on them is fulfilled the Führer's prophecy that Jewry will have to pay a new world war ignited by it with the extermination of its race. Louis Lochner's translation, while not entirely accurate especially as it apparently omits the part after the first period of my above translation, nevertheless accurately renders what Goebbels stated the fate of those tens of thousands to have been. If anything is unpardonable here, it is Mr. "Dalton"'s dishonest or at least laughably bumbling mistranslation of this passage. It is not inexplicable, though, for like other blunders of Mr. "Dalton" it can be explained by an ideological fanatic's eagerness to sell his preconceived notions, even if that calls for messing with the German language he claims to be familiar with. Tens of thousands bite the dust, and on them is fulfilled the Führer's prophecy that Jewry will have to pay for a new world war ignited by it with the extermination of its race. Thanks for the improved translation of Goebbels's April 29, 1942 diary sentence, which is a challenge to translators. I don't necessarily accept the translation of "ausrotten," but that's a whole separate controversy. Meantime, your translation of "müssen daran glauben" was helpful, along with the rest of the sentence unacceptably telescoped by Lochner. Your translation seems to omit a "for" after "pay," but the omission doesn't mislead. A typo, I'd say. The "short shrift" translation of the preceding sentence is wrong, too. It should be "dealt with summarily" or the like. Your commentary on Dalton's intentions and agenda merely betray your own, contrary biases. You'd gain credibility (and conciseness) to omit such expostulations in the future. Let your material speak for itself. Thanks for the improved translation of Goebbels's April 29, 1942 diary sentence, which is a challenge to translators. I don't necessarily accept the translation of "ausrotten," but that's a whole separate controversy. Actually it's no controversy at all. "Ausrotten" people means to exterminate people, period. Meantime, your translation of "müssen daran glauben" was helpful, along with the rest of the sentence unacceptably telescoped by Lochner. Funny that you consider Lochner's translation "unacceptable" but seem to have no problem with Mr. "Dalton"'s outrageous mistranslation. After checking behind your handle I'm no longer surprised, however. Yeah, there should be a "for" after the "pay". I'll edit it accordingly and credit you for the correction. "Short shrift" is OK, in my opinion. Your commentary on Dalton's intentions and agenda merely betray your own, contrary biases. Nonsense. One doesn't need biases to recognize and expose a biased propagandist's agenda. You'd gain credibility (and conciseness) to omit such expostulations in the future. Let your material speak for itself. Considering who this advice comes from, I'm not inclined to take it seriously, for the author of this advice has no more credibility in my eyes than Mr. "Dalton". Well, at least you're not letting this get personal. Please accept my apologies for "who" I am (or where else I post, or whatever arouses your distaste). While your personality and mine should be as irrelevant to these discussions as we (or just I) can make them, other personalities are crucial to what I'm trying to keep the discussion on, specifically those of Goebbels, the people he writes about, and (if you think it was a factor) those of his notional "audience." I'm sure you're a perfectly nice fellow (or gal) in person, and as for me . . . all I'll say is that I'm inclined to deal with those with whom I disagree respectfully. That's why I dare show my revisionist handle on your blog. I hope to continue to do so, especially when you happen to illuminate a discussion, as you did in this case. The issue I addressed was not distaste but credibility, which is forfeited (at least as concerns the topics addressed on this blog site) by who produces, endorses or promotes propagandistic falsehoods such as are featured or linked to in Bradley Smith's blog. Is Mr. "Dalton"'s discussion of Goebbels and "the people he writes about" your discussion? I'm sure you're a perfectly nice fellow (or gal) in person, and as for me . . .
You know very well who I am, Mr. Smith. Unlike Mr. "Dalton" and others like him, I don't conceal my identity. all I'll say is that I'm inclined to deal with those with whom I disagree respectfully. So am I, but respect ends where falsehood commences, AFAIC, and the stance of folks like Mr. "Dalton" happens to be full of falsehood. That's why I dare show my revisionist handle on your blog. That's hardly an act of courage, for this is an open blog maintained by people who favor free speech. Have you considered signing my Petition to the German Legislator, by the way? While I do not doubt the meaning of what Goebbel's diary and other Nazi documents refer to when they talk of "liquidation", in the name of intellectual honesty I wish to address the meaning of the word. 'a. trans. To liquefy, melt. rare. While antiquated, liquidation can obviously mean making fluid but in the most literal sense. Turning people into a liquid form cannot be good for one's health. ;) In all seriousness though one could interpret it that way but even so that is quite the stretch in logic considering the context and the fact that people like Thomas Dalton try to mix the literal term of liquification (or "liquidation") with the business term "liquidation". Thanks for your comment. I had written that "liquidation" rarely if ever, and certainly not "primarily", means "to make fluid". 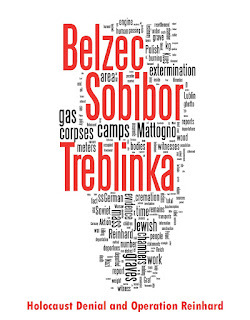 "It is characteristic that nearly all the Dutch Jews, who had been transferred from Sobibór to another camp, returned home by way of Auschwitz-Birkenau; instead of being liquidated as bearers of top-secret knowledge, they survived even this 'extermination camp.'" Mattogno and Graf do not put inverted commas around the word 'liquidated'. They assume that we know it means killing.